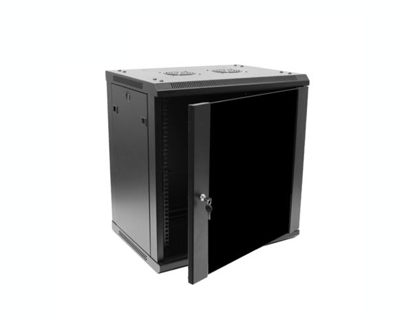 This 450mm depth cabinet by NavePoint can be wall-mounted or self standing and is great for organizing your networking equipment. 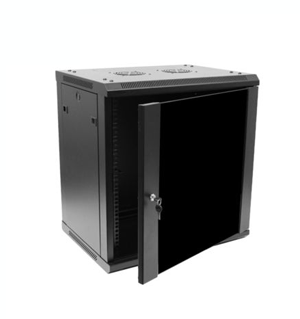 It has removable side panels for easy access, along with venting slots to keep your equipment cool. Made of high-quality SPCC Cold Rolled Steel. Comes flat-packed and requires some assembly. Available in 6U, 9U, 12U, and 15U configurations. Maximum rail depth of 13″. Total Usable Space of 16″ front to back. Top and Bottom open brackets for cable and wire access. Cage Nut kit included.